LIMA is researching new methods for the documentation, transmission and preservation of media art, digital art and performances. Processes of documentation and conservation of performance and post-net and digital art will be examined in relation to the liveness of dance, theatre and music, which have ensured its preservation and transmission by performative live-acts. Bearing in mind that media and digital art has taken over a lot from performance, could we develop new standards and techniques within media art preservation strategies by using reinterpretation to capture the hybrid, contextual and live qualities of the original piece rather than proposing an ongoing process of changing platforms and operating systems? Download the general presentation on UNFOLD by Lara Garcia Diaz, here. Gaby Wijers (Director LIMA) and Lara Garcia Diaz (Art Theorist and UNFOLD - researcher) are the core researchers of the project. Simultaneously, artist Joost Rekveld will be producing a re-interpretation of two works by the The Vasulkas. Through this a case study emerges for the researchers to draw upon, in order to identify parallels in the mediation of a work and related notions of authorship, authenticity, autonomy, documentation, memory, continuity and liveness. The final work will premiere at the International Film Festival Rotterdam in January 2017. By bringing together international professionals, curators, artists and scholars in this one year project we aim to provide greater insight into the challenges related to conserving media art beyond the technology and creating a consortium to work on further research on this topic. Next to the expert-meetings and the conducted research, we are happy to have a total of four public events in order to screen works, invite guest-speakers, and share the asked questions with the public. In the sections on the right you will find detailed information on all public events, network meetings and expert meetings, and the work produced by Joost Rekveld. 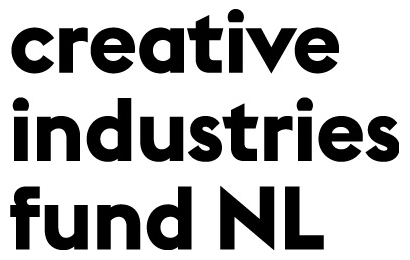 This project is made possible by the Mondriaan Fund and Creative Industries Fund NL.